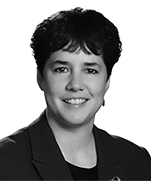 Catherine Coulter practices employment and labour law as a member of the Litigation and Dispute Resolution group of Dentons' Ottawa office. Although she principally represents and advises clients on employment and labour matters, she also acts in the fields of general commercial litigation, insurance litigation and privacy and data management. Catherine represents and advises employers in high tech and other industries and works with them to limit liability and ensure regulatory and legal compliance. She advises on executive compensation, employment issues in business transactions and reorganizations, employment disputes and privacy matters including data protection and data breach counseling. Catherine is also highly experienced in alternative dispute resolution. Catherine regularly speaks at seminars and blogs on a variety of employment and privacy topics. She is the Ottawa office Pro-Bono Committee Lead.